Leicester City’s Ahmed Musa was once again in spectacular form as he got his second goal in two matches for his side over the weekend. 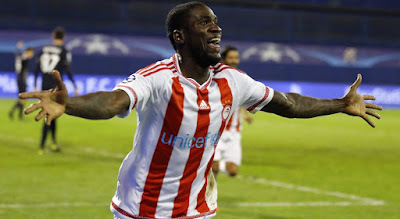 It's Nigeria player Round Up it's time to take you round Europe. Arsenal were victorious against Sunderland away from home and Nigerian youngster Alex Iwobi started the game but was taken off in the 69th minute. Arsenal ran away 4-1 winners of this encounter. Odion Ighalo was on from start to finish but could not get his name on the scoresheet it took an own goal for Watford to battle out a one nil victory over Hull City. 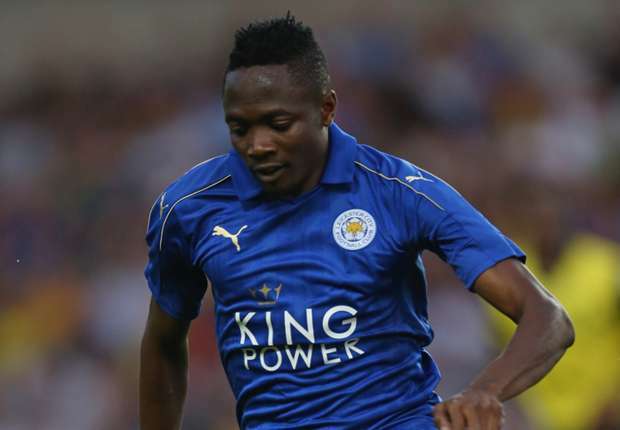 Assistant captain of the Eagles, Ahmed Musa scored his second league goal for Leicester City continuing from where he stopped last weekend. It's was his third start in a row and he has scored two goals in his last two games, his goal here brought his team level as they played out a one nil draw with Tottenham. Manchester City ended a six game winless streak as they beat West Bromwich Albion 4-0 away from home. Nigerian Kelechi Iheanacho could make the bench but was not called up on this occasion. Victor Moses continues to enjoy life with Chelsea in his new found wingback position under Conte. Moses was instrumental as Chelsea beat up Southampton 2-0 though he was substituted in the 87 minute. Fulham were merciless as they put five goals past Huddersfield in a thrilling encounter, Nigerian Sone Aluko featured from start but was pulled off in the 75minute. Wolverhampton Wanderers held Blackburn Rovers to a one all draw, and Nigerian shot stopper Carl Ikeme started the game but was pulled out in the 46th min leaving a few concerns about his fitness. Meanwhile fellow Nigerian Hope Akpan made the bench for Blackburn but was not called into action. 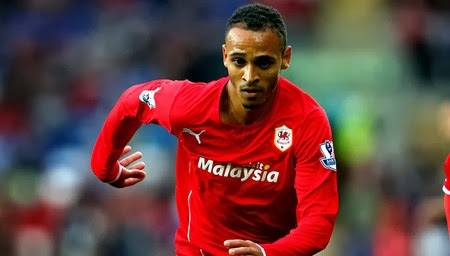 Former Nigeria striker Osaze Odemwingie made his debut for Rotherham United in their 2-2 away draw against Ipswich Town in the English Championship on Saturday. Odemwingie, who joined second-tier Rotherham on a free transfer last week, replaced Jon Taylor with ten minutes left to play. Uche Henry Agbo was on from start to end as Granada were narrowly beaten by Barcelona on a keenly contested encounter. Olympiakos’ forward Brown Ideye was the match winner for his side who edged out Atromitos 1-0 on Saturday. The Nigerian international struck in the 53rd minute of the encounter to end his three-game goal drought to become the top scorer in the Super League with six goals from eight league games. 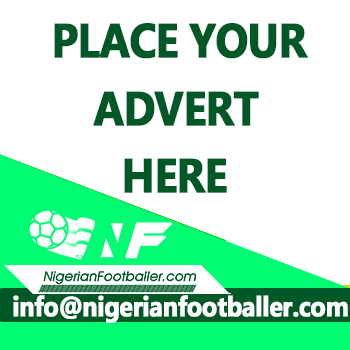 Nigeria duo of Sylvester Igboun and Kehinde Fatai scored both goals as UFA beat Arsenal Tula 2-0. Igboun opened the scoring on 45 minutes before Fatai sealed the win with an 80th minute strike. Super Eagles defender William Troost-Ekong made an appearance for Haugesund who played 3-3 away to Aalesund in the Norwegian elite division. Troost-Ekong, who was on for 90 minutes, was yellow-carded on 38 minutes. Nigerian midfielder Ogenyi Onazi and his Trabzonspor side were forced to a 2-2 home draw against Godfrey Oboabona’s Rizespor. Onazi was replaced by Hyun-Jun Suk on the stroke of 90 minutes while Oboabona played throughout the game. Olanrewaju Kayode was on target for Austria Wien in their 2-0 home win against Sturm Graz in the Austrian top flight on Sunday. In action for Sturm Graz was Nigerian forward Bright Edomwonyi who was replaced in the 71st minute. Henry Onyekuru scored his fifth league goal for KAS Eupen as they were held to a 1-1 draw at home to Lokeren.